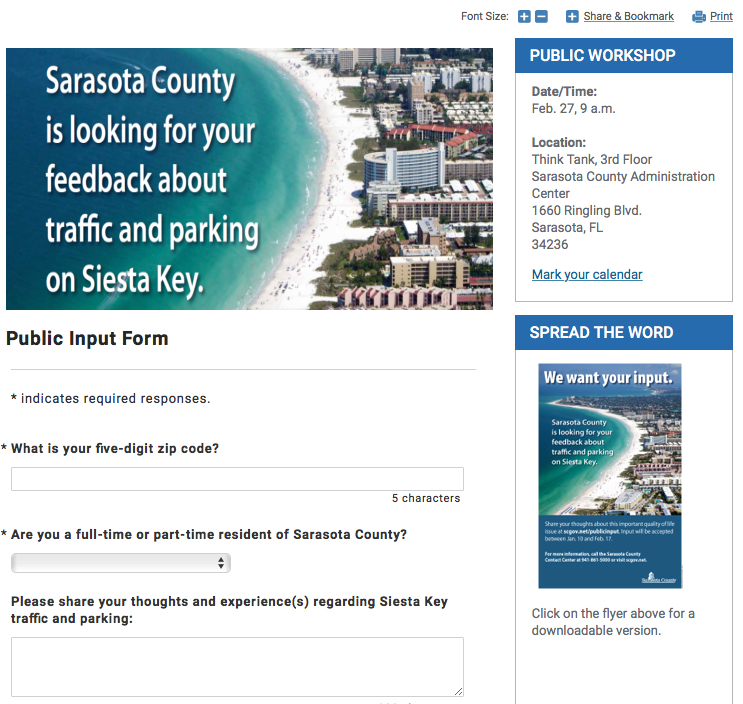 The last time the county commissioners discussed the option of paid parking on Siesta Public Beach, they decided to hold a workshop on the issue, instead of trying to hammer out ideas during a regular meeting. As a result of that July 2018 decision, county staff has scheduled a workshop that will begin at 9 a.m. on Wednesday, Feb. 27, at the County Administration Center in downtown Sarasota (1660 Ringling Blvd.). Comments would be accepted through Feb. 17, an accompanying flyer said. 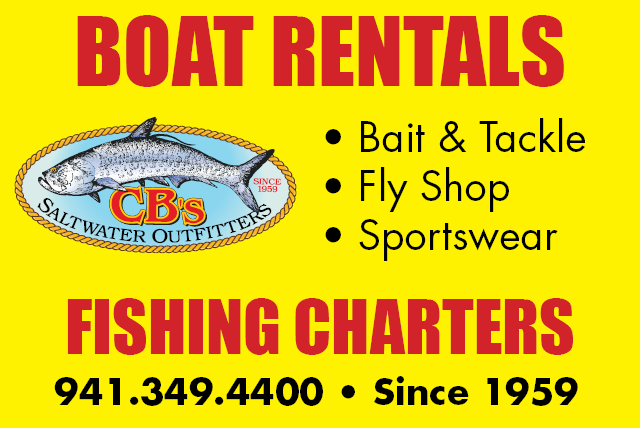 Anyone with questions may call the Sarasota County Contact Center at 941-861-5000. Both the Siesta Key Association (SKA) and the Siesta Key Chamber of Commerce have undertaken surveys showing that the majority of their members support payments for parking at the beach park. However, the consensus has been that the county should funnel the proceeds — or at least most of the proceeds — into island-related programs. For example, Mark Smith of Smith Architects, a long-time leader of the Siesta Chamber, has called for the county to extend the route of the Siesta Key Breeze open-air trolley, so it can cover the north end of the island, as well as the south end. The Breeze circulates between Turtle Beach and Morton’s Siesta Market in the Village. Smith has pointed out that a wider circuit would lead to even fewer visitors using vehicles to traverse the Key. Commissioner Alan Maio has joined Smith in estimating that for every two people who ride the trolley, one vehicle has been eliminated from island traffic. County commissioners also have talked of the potential of renting spaces at off-site parking areas — such as Sarasota Pavilion, which is near the U.S. 41/Stickney Point Road intersection — so people can leave vehicles at those locations and then take a trolley to the beach. Additionally, the future of the property at 6647 S. Midnight Pass Road will be part of the Feb. 27 discussion, the commissioners decided last July. Staff won the go-ahead in 2018 to raze a former Sheriff’s Office training facility on that property, after Sheriff Tom Knight said the structure no longer was needed. However, a county Public Utilities building remains on the site, staff has pointed out, and numerous underground pipes exist as part of the Siesta Key Utility Authority infrastructure that the county took over years ago. Although Commissioner Alan Maio initially talked of having staff create a shell lot where people could park for free, Commissioner Nancy Detert has asked for details about the potential of constructing a parking garage on the parcel.